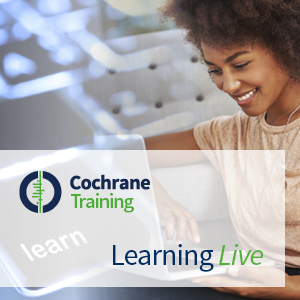 This webinar is for those interested in contributing to the implementation of Cochrane's Knowledge Translation (KT) Framework over the next two years. The webinar was presented by Julie Wood and Sally Green, Co-Chairs of Cochrane's KT Advisory Group. Cochrane has focused much its work on producing systematic reviews. To achieve our vision we need to not only produce high-quality reviews, but also ensure that we produce the right reviews that reach those who need the evidence at the right time. KT is the vital ‘other half’ to achieving our ambitions as set out in Strategy to 2020. During the past 12 months there has been a huge amount of contribution made to the KT Framework, that was approved by Cochrane’s Governing Board in April 2017. Cochrane Groups and contributors undertake many KT activities so there is much to build upon in delivering Cochrane’s KT ambitions. Now is the time to draw upon the vast amount of expertise within the Cochrane Community to define a formal implementation plan we can submit to the Cochrane Governing Board in Cape Town in September. We have established a KT Advisory Group to lead and supervise KT implementation, and drafted recommendations on the key work priorities for Cochrane during the next 12 to 24 months. Working groups will be created as a result of these priorities. This is a very exciting new era for Cochrane in shaping our Knowledge Translation implementation plans. KT is essential in achieving Cochrane’s vision and maximizes the benefit of the work of our more than 40, 000 collaborators. Your contribution will ensure our fundamental commitment to the use and impact of Cochrane evidence. The webinar was delivered in July 2017.